Wow!!! This could be the best young PdB I`ve ever tasted. Beautifully deep and dark purple color, what is to be expected from Rabaja. 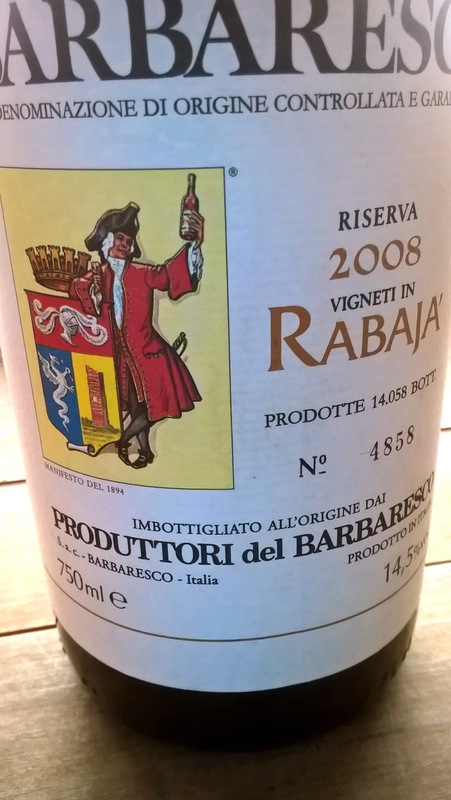 A bit shy, but delicate, earthy aromas with pronounced tar and graphite, that I get so often from Produttori. This is so goddamn delicious it`s hard to analyze. Just has everything: power with elegance, glorious glorious purity of fruit, savoriness, silky smooth mouth feel, seamless transition from the first attack to a minutes long aftertaste(lingers on easily more than 3 minutes), interesting mineral undertones, profound secondary notes. You just cant get bored with this. 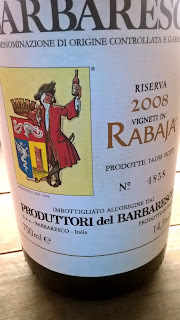 The rabajà didn't dance for us a year ago and was very closed at that tasting, but it would be great to retest and see if it like you indicate is more open now. The consorzio are reliable and you'll get a lot for the money.